As a change from talking about financial planning and personal finance I thought I’d talk about an annual event that recently arrived in my life and reduces my ability to defer my expenditure(!) – Record Store Day (RSD). One day each year over 200 independent record shops all across the UK come together to celebrate the records and music they sell. Special vinyl releases are made exclusively for the day and many shops and cities host artist performances and events to mark the occasion. It is a worldwide event with thousands more shops celebrating the day around the world. A fellow Dad I see when dropping off and picking up my daughters from their seemingly endless dance classes, knew I liked vinyl and suggested I come along to our local independent record store, https://www.hundredrecords.com, on RSD. Having got up at a very unseemly hour for a Saturday morning we drove over to the store and joined an already long queue of equally mad people trying to get what they wanted from the list of exclusive and limited releases for that year. About four hours later I was sitting in a coffee shop with a nice pile of vinyl and a hole in my wallet!! So, what is RSD all about? It started in Baltimore, USA in 2008 and was founded by a group of record store owners. It has now grown to be a worldwide annual event celebrating independent record shops and supported by artists, records labels and music fans. The first UK RSD was in 2009. 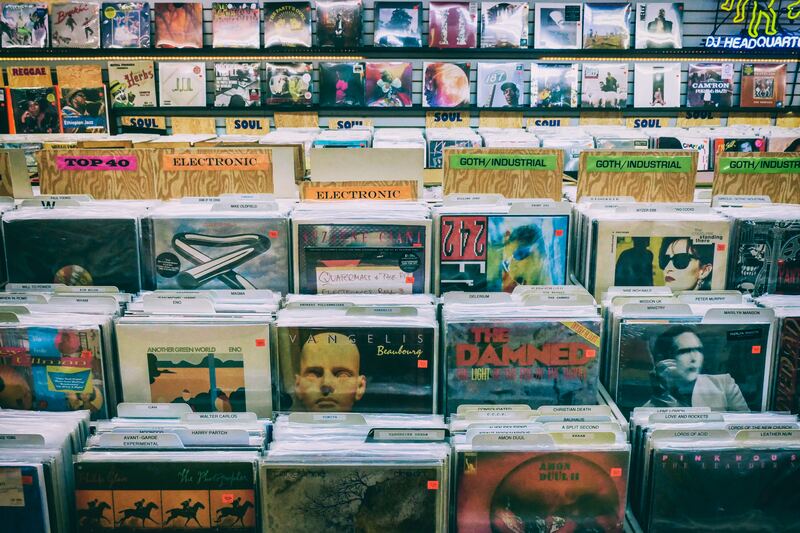 RSD is said to be one of the major contributing factors to why the resurgence of vinyl has occurred and gained so much traction over the last 10 years. In 2008 only c.£2.9m was spent on vinyl in the UK but by 2017 the sum had risen to £88.7m. The sale of vinyl from independent record shops has also increased dramatically over the same period. In 2009 not many UK shops took part but it has now become one of the most important days of the year for independent record store owners. Record Store Day 2019 will take place on Saturday 13th April 2019 and is supported by BBC Music. The RSD exclusive releases are available in limited quantities on a first come first served basis (hence the long queues!). RSD releases are only available through RSD shops from the date of RSD. Pre orders are not available, and stores are not permitted to reserve releases for customers, so you need to visit the store on the day to purchase your record. The point of RSD is to visit the independent shop so if you really want that limited release there is no avoiding the queue. Only one copy of each RSD release per customer. Only participating RSD shops may purchase RSD products legitimately, and stores are bound by the RSD code of conduct which prohibits them selling online in advance of the day and for one week following RSD. The shop owner and staff are not allowed to purchase any of the records until the end of the day. Not all stores will have every release. Some releases have very limited numbers and it’s almost impossible for smaller stores to stock one of everything. My tips for the day are to check out the list of releases first and decide on a few top choices (3 or 4) and have another tier of choices in reserve in case none of the first group are left. This helps you look for your first choices when you get in the shop as lots of other people are also trying to find different records at the same time. I would also set yourself a budget as it is easy to get carried away. This helps you concentrate on finding your top few records first and helps limit the damage to your wallet or purse. Even if you do not have a particular record (or records) in mind, it is still a great day to check out and support your local independent record store before Amazon takes over the world. If you can’t make the day, or the release you want has gone, you can always pop in on another day and see if any stock is left or if the shop can order you a copy from returns. I have previously been able to pick up RSD limited edition releases a few weeks after the actual day as other stores return items or copies held back in case of faults are then made available. So, if you’re interested in getting back into vinyl or just want to experience that lovely sound when the needle touches the “wax”, RSD is an excellent excuse and supports your local shop! You may even pick up a good investment. Although the future value of vinyl is not guaranteed! Wish me luck for this year. I just need to work out how early I am prepared to get up! According to the Official Chart Company.